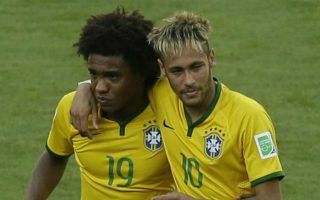 Neymar said that his comeback from injury has been the most difficult period of his life as the PSG star was named in the Brazil squad. The forward was included in Tite’s squad despite the fact that he had to undergo surgery on a foot injury in March, as per BBC Sport. From the Premier League, Ederson, Danilo, Fernandinho and Gabriel Jesus also join Neymar, while Chelsea’s Willian and Liverpool forward Roberto Firmino also get the nod – but as ever – the focus has been on the former Barcelona superstar. The world’s most expensive player revealed his fears ahead of his comeback from injury – but is keen to fulfil his dream of lifting the World Cup with his country. He is expected to return on June 3 for Brazil in their warm-up match against Croatia, according to AS, with their opener in Russia two weeks later against Switzerland. Neymar told Brazilian station TV Globo, as reported by Sky Sports: “Nobody is as scared as me (about returning). “Thank God I have this further opportunity, this further chance, to try to be a world champion for my country, which is a dream that I have had since childhood. Neymar was crowned Ligue 1 Player of the Year, despite missing a large part of the season, and has been linked with a move to Real Madrid – as per ESPN FC. However, the Brazilian boasted great statistics for PSG this term, scoring 19 goals and contributing to 13 assists.